Fluorocarbon leader material like Shimano’s new EX Fluoro Ocea Leader provides a number of advantages to discerning anglers dealing with wary fish under difficult fishing conditions. It’s thinner than equivalent breaking strain nylon, highly abrasion resistant, doesn’t absorb water so it sinks faster, is clear in colour and, with its refractive index being pretty close to that of water, is therefore less visible to fish. Ocea Leader structure is quite different too, in that it has a soft fluoro core for knot strength, a hard outer shell for abrasion resistance, and then a fluorine coating over this to provide a smooth surface finish. 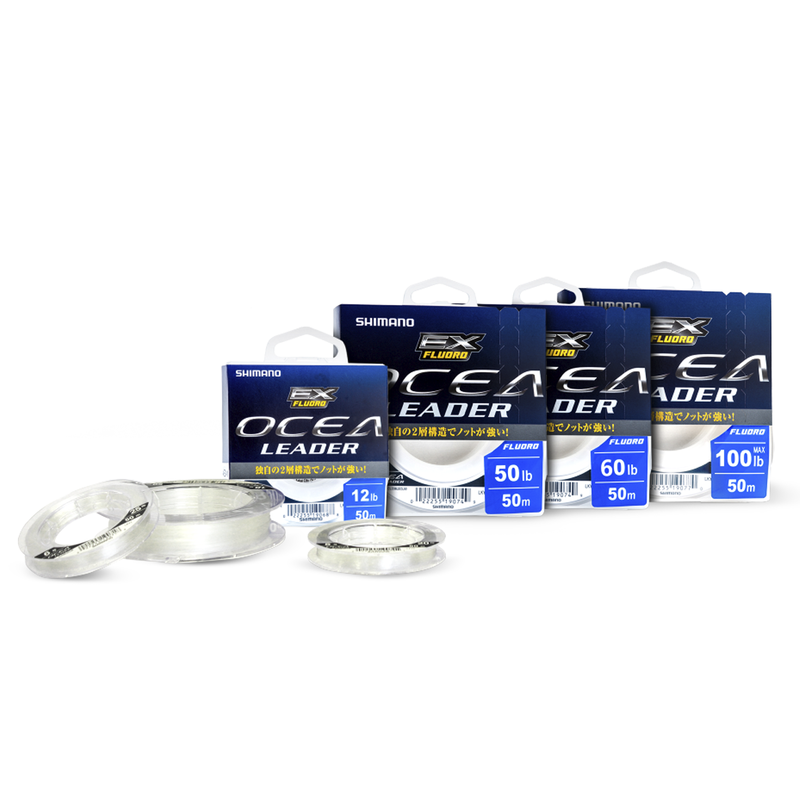 It comes in 50m dispenser spools with a line retainer in 4, 6, 8, 10, 12, 16, 20, 25, 30, 40, 50, 60, 80 and 100 pound breaking strains — perfect for everything from estuary bream up to live baiting for small black marlin and cubing for yellowfin tuna.